Steve Hines began his living history career as a Civil War Re-enactor, but his work as a gunsmith and love of history led him to explore other areas as well. Steve helped to co-found the 4th Tryon County Militia in 1982, and eventually came to command the unit. While not a practicing musician (although in the early days of the 4th Tryon, his tin whistle could be heard on the march or in camp), Steve enjoyed music and understood it’s importance in 18th century life. Whether it was a signal or march on the battlefield to maneuver the troops, or a tune or song in camp to ease a hard day’s work, Steve wanted to hear it. At events, musicians without a parent unit soon found they always had a home with the 4th Tryon. If they did not come to him, Steve would actively seek them out. Having music available to his unit was always one of Steve’s priorities. 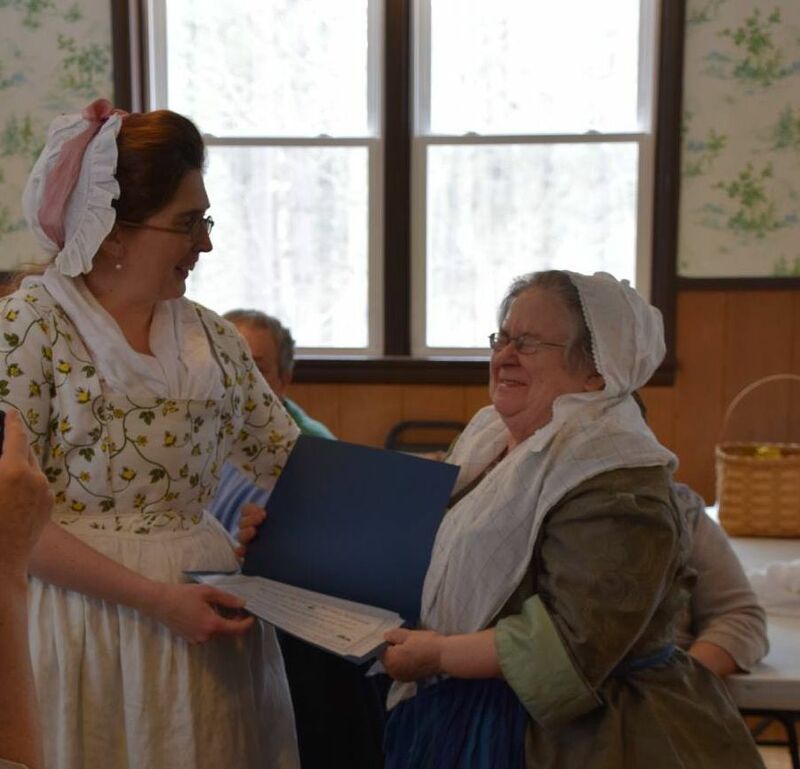 The Memorial Music Appreciation Award was created in 1998 to honor the musician (whether military or civilian), who always does their best to do what Steve Hines did: promote the music and keep it an important part of our 18th century events. In 2017, we have expanded the parameters of this award to include all performers. The Steve Hines Memorial Music Award has now become the Steve Hines Performing Arts Award. The recipient of this award displays a passion for performance and a true devotion to their art. Storytellers, Civilian Musicians, Military Musicians, Puppeteers, and Thespians alike all serve to expand our knowledge of the people we portray and a colour and depth to our events that are invaluable. The recipient of this award not only loves to entertain, but to educate as well. They work very hard to make what they do look effortless. They enjoy every minute of sharing their talents with others, and it certainly shows.